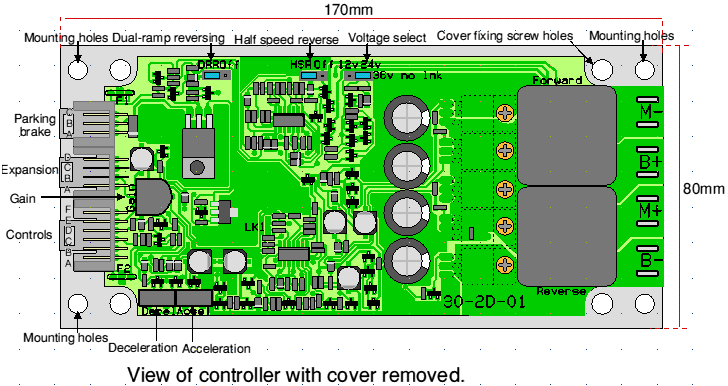 Home / Controllers / DNO: Reversing, 12V – 36V, 100A. 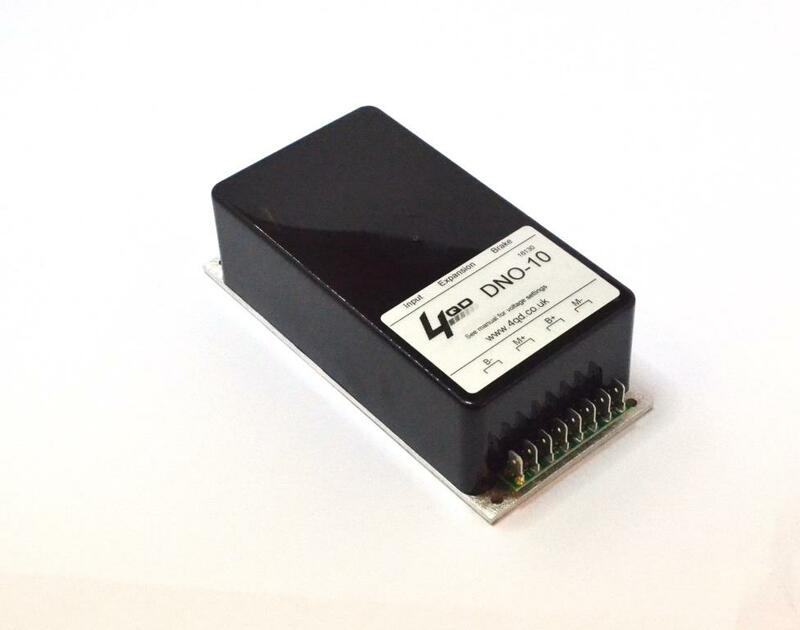 The DNO is a popular mid-sized PWM electric motor control with built-in reversing suitable for use in 12V to 36V applications. It is ideal for 5″ locomotives, and has also proved very successful in small industrial motor control projects. DNOs are often used in conjunction with our DMR-203 to provide radio control of large models such as this Panther tank, or robots. 12V, 24V, and 36V operation selectable by internal link [default is 24V]. 48V operation is possible, see notes in support tab. Timed over-load trip [controller switches off if high current is sustained]. Gain control to adjust top speed. Selectable dual ramp reverse switching for a smooth transition from forward to reverse. DNO-005 Peak current 50A. 1 minute current 40A. 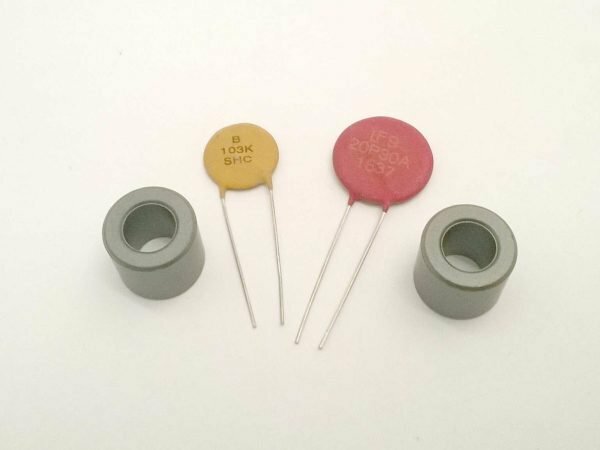 Continuous current 30A. DNO-010 Peak current 100A. 1 minute current 75A. Continuous current 60A. 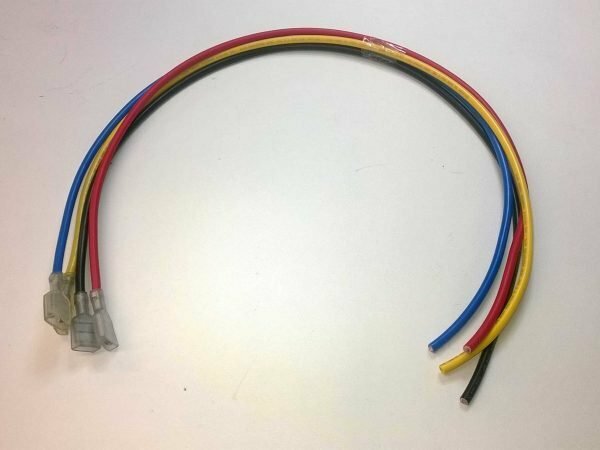 Direct replacement for the VTX range, uses existing wiring. 3, 4, and 6 way IDC control connectors are included. It is possible to add under voltage protection to the DNO [see support tab]. Full instructions are included in the manual. The wiring is exactly the same as for the older VTX (except for the expansion connector). 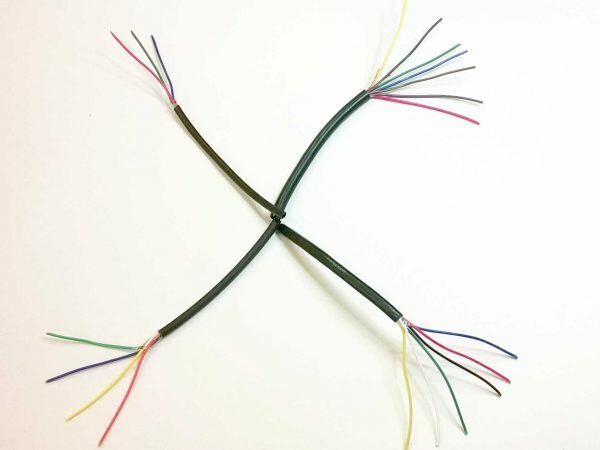 Our knowledge base has several alternative wiring schemes. As standard the DNO was designed to block transition from ahead to reverse without reducing the throttle to zero. A number of customers asked if it was possible to remove this block so that the behaviour matches that of the VTX, this can be achieved by the addition of a single capacitor as shown in this modification sheet. The change was incorporated in all DNOs from serial number 16300 onwards. The absolute maximum voltage of the DNO is 56V which is the same as a 48V battery that has just been fully charged. Above this voltage the internal protection circuits operate, this means that although the DNO can be used on 48V there may be no regenerative braking available. Also the motor may creep and the speed may not be able to be turned to zero. Although the DNO does not have a low voltage protection cut-off fitted as standard it is easy to retro-fit this feature. Two methods of doing this are given in our knowledgebase here. In practise the current limits can be higher than quoted but do not allow the battery current to exceed 100A otherwise circuit board damage may occur. The maximum continuous current for the DNO-10 is the rating of the relays and is fairly conservative. It will also depend on how the controller is mounted, heat can build up in the heatsink and, at high currents, must be removed. We have a number of DNO specific articles in our knowledgebase.